Your face is not only representative of your body but also reflects your personality, emotions and expressions. A dull and tired face is usually a sign of poor mental and physical health and a stressful lifestyle that takes away the freshness from your face. One of the most common inciting agent that may contribute to the dullness, acne and blackheads (or related cosmetic issues) is clogged pores. We recommend these home based simple techniques for easy removal of clogged pores. The pores get clogged due to accumulation of dust particles, dying cells and oil (sebum secreted by skin). Many skin care products are available in the market that can effectively unclog these pores, but not all individuals’ show a positive response to main-stream products. In fact some females may also develop hypersensitive reactions. So how to unclog pores? Use a mild or gentle type of face cleanser such as glycerin bar. Wash the face every morning and evening with lukewarm water or whenever the face is exposed to dust, heat or oil. Use astringents (usually contain controlled amounts of salicylic acid or benzoyl peroxide) as they have the property to remove bacteria and particles that are trapped inside the pores by contracting the skin surface. Apply this toner with the help of a cotton ball every time after washing the face. This will help clean out the dead cells and bacteria’s present on the surface. Clear off the clogged pores with the help of exfoliating creams and gels at least 1-2 times a week, these creams are generally available in the market. Don’t use these creams too frequently as they can cause irritation and redness. Wash out the face or splash with cold water at frequent intervals, this will help in closing the pores. Apply a moisturizer after washing the face with cold water. It is better to select as water based moisturizer as oil based creams and moisturizers can further lead to clogged pores. Maintain hydration by drinking 6-8 glasses of water per day. This will maintain the elasticity of skin. Also increase the amount of fresh fruits in diet. Do not touch the face frequently as the oils present in the fingers can clog the pores. Exposing your skin to controlled intensity of steam is one of the simplest and cost effective techniques to unclog or open the clogged pores. It also helpful in clearing off the skin from unwanted particles and impurities. Fill a saucepan with water and set it to boil. When the water starts to generate steam, remove the pan from stove. Cover the head surface with a towel and lean over the steam releasing pan. Allow the steam to penetrate inside the skin for a minimum of 10-15 minutes. Dry the face using a clean towel. Apply some toner (for balancing skin’s pH) and moisturizer (for maintained hydration) after during from towel. Repeat this procedure twice a week to obtain better results. It is to be noted that the hot water which is releasing the steam must not be splashed over skin, as it can burn the skin directly. 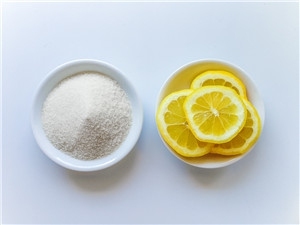 Sugar is known to act as a natural exfoliating agent while lemon has anti-oxidant and exfoliating properties. Finely crush 2 tablespoons of sugar. Mix this powdered form sugar with lemon juice (extracted from half lemon) and a little amount of water. Apply this paste over the nose and its surrounding areas. Spread this mixture by rotating the thumbs in a circular motion and massage for 5 minutes. Wash with water and apply moisturizer to prevent drying. Repeat this procedure once a week for better exfoliating results. Egg whites helps in removing the dust particles from the clogged pores, it also helps in enhancing the complexion of the skin. Whip the egg white until it forms a smooth creamy mix. Place this whipped egg white in refrigerator for 10 minutes. 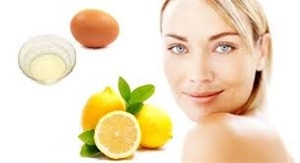 Mix this egg white with juice extracted from lemon. Apply the mixture over skin surface and leave it to dry for 10-15 minutes. Clear off the mixture by washing the skin then dry with a clean towel. Alternative: A scrub can be prepared by crushing one tablespoon of almonds then mixing it with honey and an egg white. Apply this paste and massage by rotating fingers in circular direction. 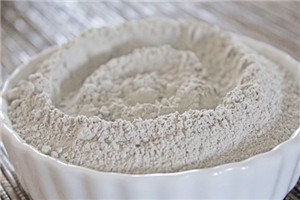 Bentonite mask is also known as clay mask, it is effective in removing the dust and harmful particles from the skin. This mask is also helpful in restoring the youthful shine and look of your face. To prepare the bentonite mask, take 1 tablespoon of bentonite, 1 tablespoon of water (you can substitute with rosewater) and 1 tablespoon of oatmeal (optional) in a bowl. Combine all the above listed ingredients to prepare the mask. Apply this mask over your skin with the help of finger-tips or a clean brush. Set it to dry for 10-15 minutes. Clear off with water, wash and dry. Apply moisturizer for better hydration. Raw Honey: Apply the honey as is on the surface of skin. Leave it for 10 minutes and then remove by washing with lukewarm water. Honey and Cinnamon: Mix 1-2 teaspoons of cinnamon with 3 tablespoons of honey. Apply this mixture over skin for 15 minutes, wash with lukewarm water. Honey and Baking soda: Mix 1 tablespoon of baking soda with 2 tablespoons of honey in order to prepare an exfoliating cream. Apply this over the areas where blackheads are present and massage in circular motion. Clean off with water. Honey and Yogurt Mask: Mix 2 tablespoons of yogurt with 2 tablespoons of honey and 1 teaspoon of jojoba oil. Apply this mask over skin surface. Leave for 15 minutes then clear off with water. Extraction of pore is harmful for the skin surface and should not be attempted by self. But how to unclog pores if no other remedy is successful at getting rid of clogged pores? It is highly recommended to seek the help of a professional i.e. 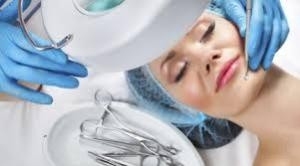 dermatologist as they know excellent techniques to achieve extraction without increasing the risk of scarring or pigmentation. Server responsed at: 04/25/2019 2:36 a.m.